Open & free to the public. Registration required. Online registration is now closed but we will still be accepting people at the door. Limited seating is still available. The turmoil that has overtaken Hong Kong since its return to Chinese sovereignty in 1997 has spawned a new generation of young, passionately committed activist filmmakers; they want to tell Hong Kong’s story with Hong Kong voices. 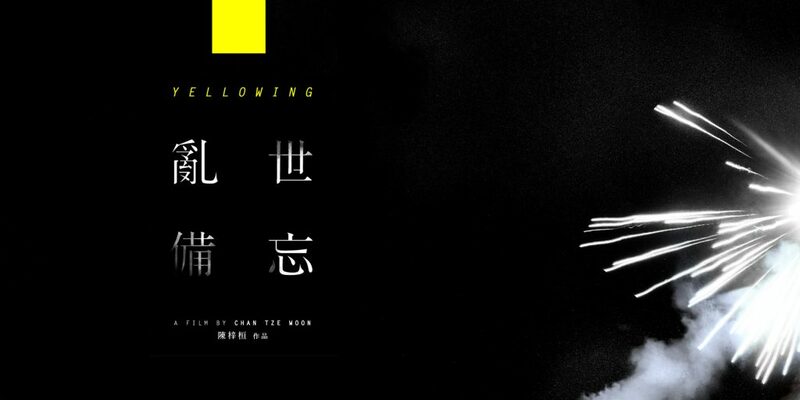 And the best indie documentary to have emerged so far from the HKSAR is this year’s Yellowing, by Chan Tze Woon, a 29-year-old with degrees in policy studies and film production. Hong Kong’s fraught, tense relationship with its mainland Chinese overseers came to a head with the Umbrella Movement of 2014. A crowd of protesters stormed Civic Square on September 27. The next day police shocked most residents of the HKSAR by attacking the growing crowds with volleys of tear gas, whereupon a wide cross section of Hong Kongers occupied the streets in several areas and stayed for almost 6 weeks. Chan took his camera on the streets for 67 days during these events. He shot 1000 hours of footage, out of which he crafted a sensational and moving document featuring revealing portraits of students who camped out on the streets and organized a temporary, alternative, cooperative and communitarian Hong Kong. Richly detailed, engrossing and dramatic, this film captures the sights, sounds, and feelings of a time when tens of thousands of Hong Kong citizens, led by energized and idealistic youth, defied their government and demanded real democracy. Chan Tze Woon is an independent film director whose work includes “The Aqueous Truth” (2013) and “Being Rain: Representation and Will” (2014). 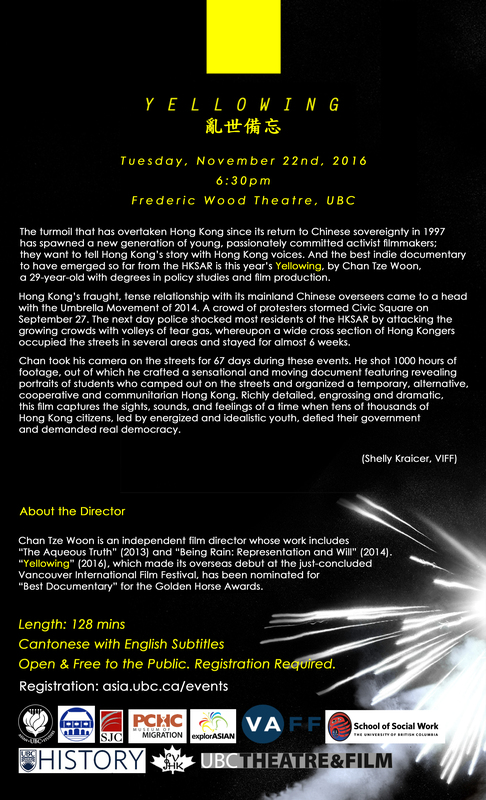 “Yellowing” (2016), which made its overseas debut at the just-concluded Vancouver International Film Festival, has been nominated for “Best Documentary” for the Golden Horse Awards.